CNC me pt. 4 – what again? The actual table is not installed yet. It can move about 35 cm in each axis. Posted in Blog | Comments Off on CNC me pt. 4 – what again? 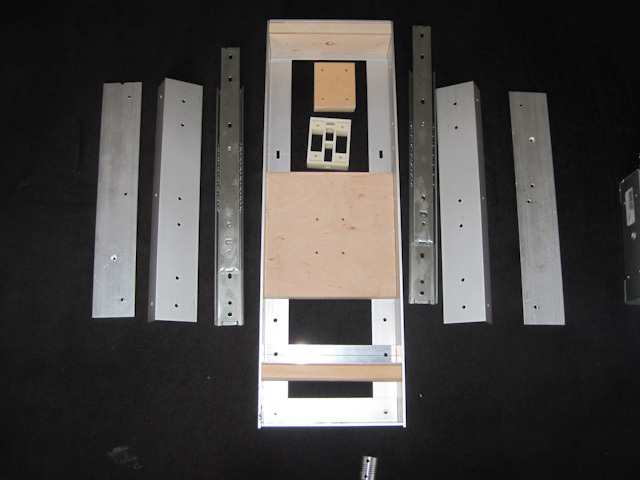 Having at least a plan for the cross table I started working on the parts. 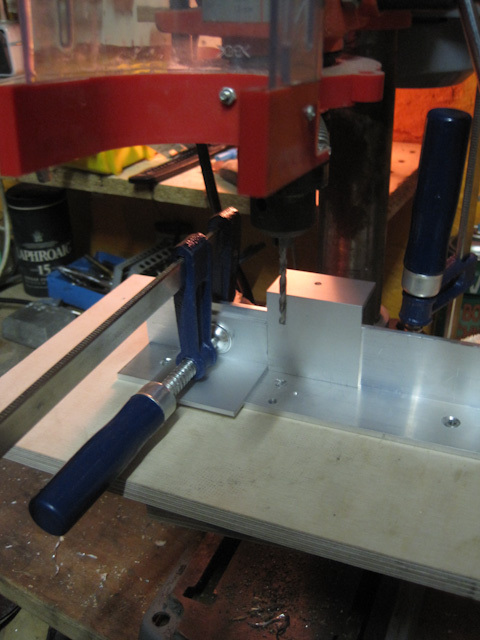 I struggled for a while trying to find a place with the means of doing precise cuts and drills into aluminum. In the end I did the cutting in a former workplace of mine and had to do the drilling at [c-base] of which I am a member for about a year now. 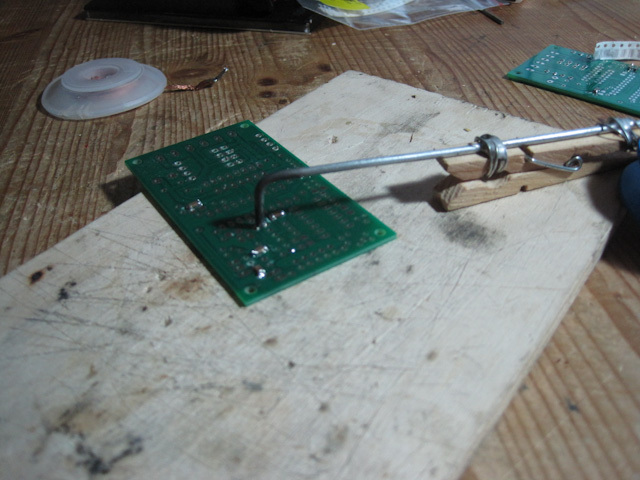 There I had to cope with a cheap drilling stand. I built me an improvised guide to at least have some precision in one axis. 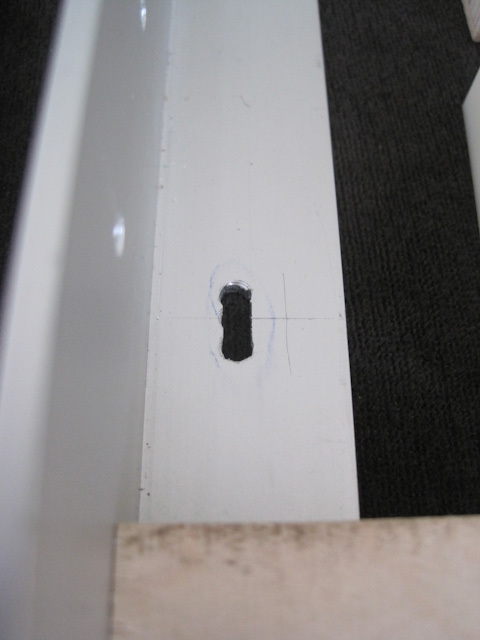 Some holes I had to turn into long holes to be able to adjust to tolerances. Those don’t look so good but I hope it will do. 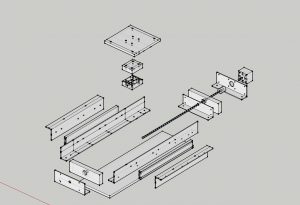 Most CNC configurations still rely on a computers LPT port. This is due to the fact that a program can access this port in realtime as opposed to the USB port, which is buffered. There are several solutions on the web using microcontrollers to execute the code given through the USB port. 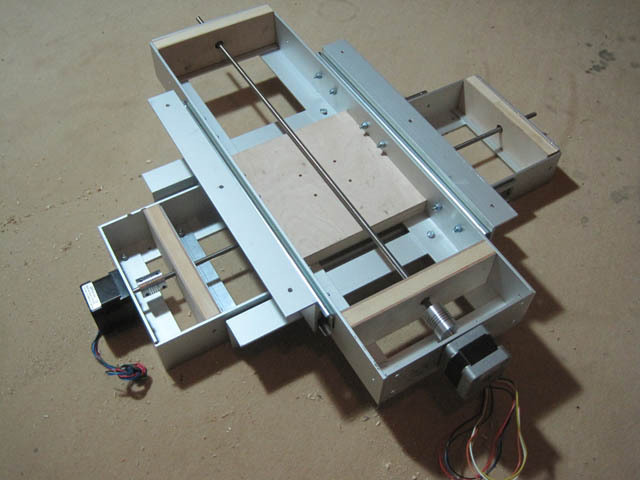 I went for the one done by [planet cnc] in combination with classic l297/298 motor drivers by [PMinMO]. 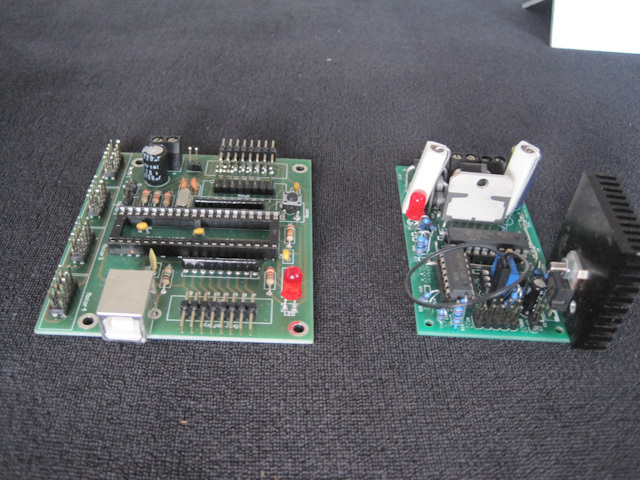 Both provide ready to use parts, kits and schematics to do your own board designs. 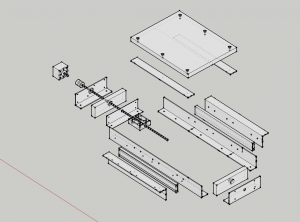 I went for the kit solution instead of designing my own boards because I wanted to spend more time on mechanical design. PMinMO provides a truly great documentation with his boards, by the way! I got a PCB and a preconfigured chip from planet cnc. He provides a software with drivers for windows (costs though) that should also work under Parallels and such.